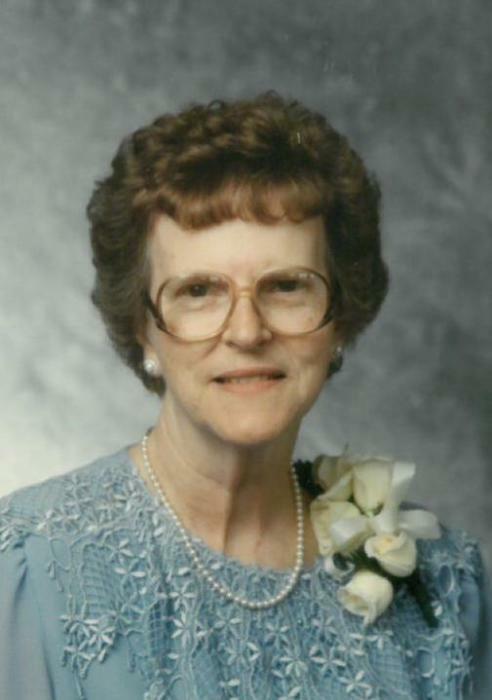 Obituary for Virginia Baker | Hanson & Dahl Funeral Home, Inc.
Virginia Baker of Dawson passed away on the morning of Wednesday, October 3, 2018 at Johnson Memorial Care Center at the age of 94. Funeral services will be held on Monday, October 15, 2018 at 11:00 AM at First Presbyterian Church in Dawson with Pastor Herbert Rotunda officiating. Burial will be in the Dawson Cemetery. Visitation with the family will be one hour prior to the service at the church on Monday. 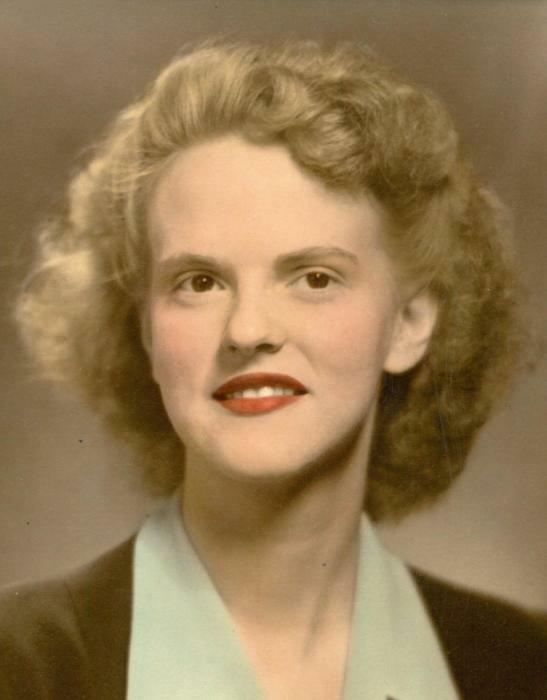 Virginia Baker was born in Cincinnati, Ohio on September 6, 1924 to George and Dorothy (Remle) Peterson. When her mother passed away she continued to live with her father for a short period. of time. She then moved to Delaware, Indiana to live with her aunt and uncle, Bill and Elsie Meyer on their farm. She graduated from Napoleon High school and then from Indiana State University with a teaching degree. Virginia met Chet Baker through a mutual friend and corresponded with him while he was in the US Army Air Force in the China-Burma Theatre during World War II. Shortly after his return stateside, they were married and lived in Osgood, Indiana before moving to Columbus, Indiana. In 1952 the family moved to Dawson where Virginia continued her teaching career in the Dawson School District, teaching many grades but finally settling on 2nd grade as her niche. She was a much loved teacher in the district. Virginia and Chet had four sons: Mike, Bruce, Paul and Chester. Virginia and Chet traveled extensively within the United States, Canada and Europe. She enjoyed the customs, culture, food and friendships of each country and state. When Chet passed away in 1990 Virginia continued to travel, making two more trips, one to Switzerland and one to Budapest. She continued to travel throughout the United States visiting friends and family in Indiana, Ohio, Oklahoma and other locations. Virginia was a strong and caring woman. She had many passions including reading and genealogy. She enjoyed knitting, crocheting, ceramics, entertaining family and friends and spending time at their cabin on Big Stone Lake in the summers. She continued volunteering in church at the Church of the Nazarene where she served as treasurer, reading at Johnson Memorial Care Center, and volunteer teaching at Dawson Elementary School. Family will treasure that she was a strong woman and was loved by so many, both in the community and outside. She made a difference in many people’s lives through her years of teaching and her genuine friendship. Virginia is survived by her sons: Mike (Wanda), Mitchell, SD, Bruce, Dawson, Paul (Tamara), Madison, Chet (Connie), Eden Prairie: grandchildren: Derek (Jill) Baker, Monica (AJ) Schmidt, Tammi (Keith) Mueller, Tiffany (Neal) Hammer, Tara (Brenton) Parsons, Rachel Baker; seven great-grandchildren: Devon, Patrick, Charlie, Zach, Daniel Tori, and Daschiell as well as extended family and friends. She was preceded in death by her parents, her husband, Chet and a sister in infancy.